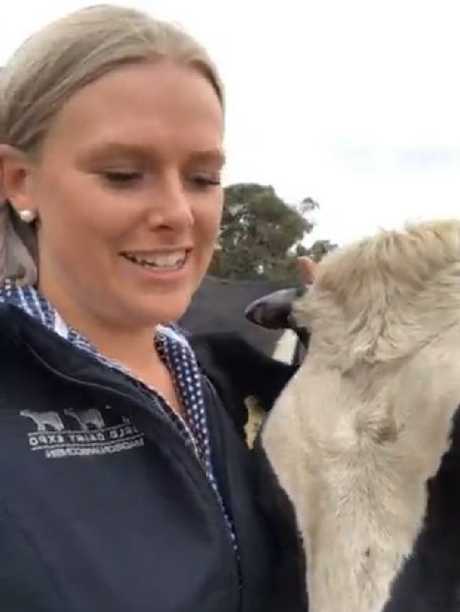 A VIDEO of a South Australian's tears for her loved herd of cattle has gone viral after the third generation farmer was forced to farewell the embattled industry. 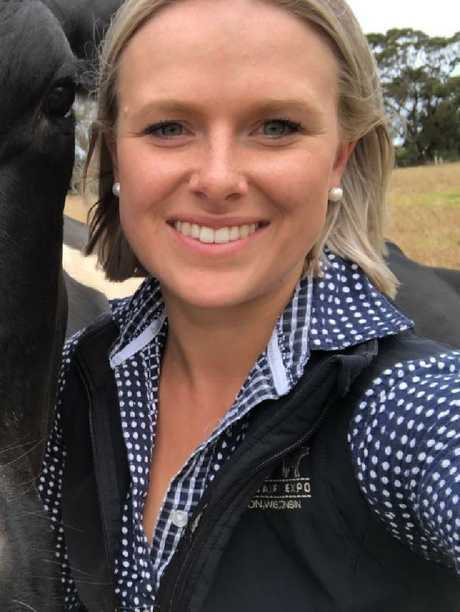 Hundreds of thousands have watched Casey Treloar's Facebook video where she says the slashing of farmgate milk prices has made it impossible for farms such as her family's to stay in business. "We are getting 38 cents a litre across the year and it's completely unsustainable. We can't really afford to keep going anymore," said Ms Treloar on her farm outside Parawa on the Fleurieu Peninsula. "It breaks my heart," she says, visibly fighting back tears. 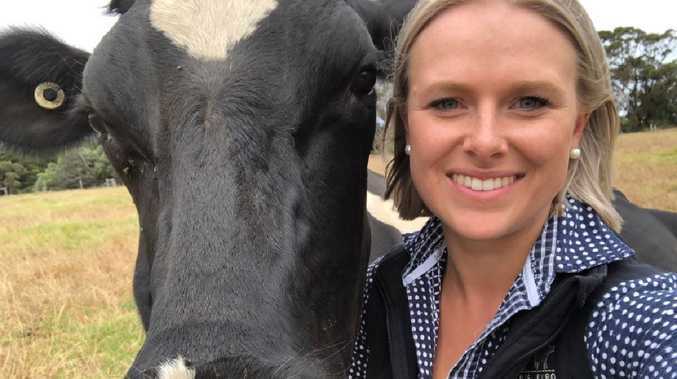 Ms Treloar, who also works as a journalist, said the slashing of milk in supermarkets to $1-a-litre from 2011 has led to the industry being in the position it is. "It has devalued our product, milk that we produce is not worth as much as it once was, and it's to the point where our production is so much that we cannot sustain producing milk the way we have in the past. She says the industry is getting closer to the point of having to rely on dairy milk being imported from China. "We call ourselves cow people, we do it because we love the cows and a lot of dairy farmers are like that," Ms Treloar said. "We're forever the optimists that the industry will get better but for our family we've come to a point where we can't do it anymore." Ms Treloar said she didn't know what would happen to her beloved cows, such is the diminished value of the dairy industry today. "For all we know, they could be worth more at the meatworks," she said. She called for government regulation to force the value of dairy to be controlled. 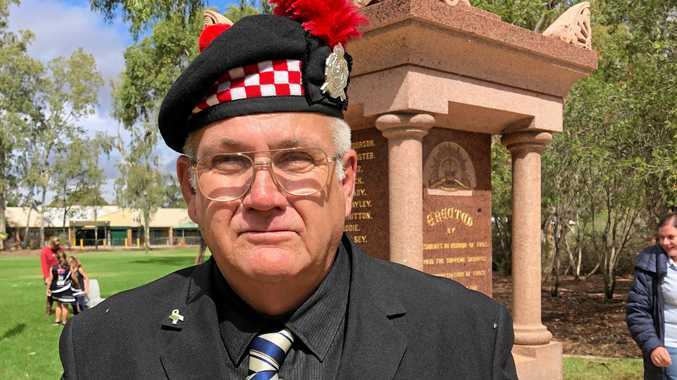 "They need to get off their asses, they need to see that at some stage there is going to be no more family farms in Australia," Ms Treloar said. "If you're watching this, please head down to your supermarket, buy your favourite branded milk, cheese, yoghurt, ice cream because the dairy farmers right now need your support." Last year, a long-awaited report into the Australian dairy industry said increasing the price of supermarkets' $1-a-litre milk would have no impact on the price paid to farmers. "Dairy farmers are understandably frustrated the retail price of milk has declined in real terms, since retailers adopted their milk pricing policies," ACCC Commissioner Mick Keogh said in a statement. "The price set by retailers is arbitrary and has no direct relationship to the cost of production for the supply of milk. "In examining the impact of this on farmgate prices, however, the ACCC found almost all contracts for the supply of private label milk allows processors to pass through movements in farmgate prices to supermarkets. "Therefore, there is no direct relationship between retail private label milk prices and farmgate prices."